Take 5 Ingredients, all lined up! Peanut butter swirl, chocolate covered pretzels and caramel sauce. I have been invaded by a “Take 5 Monster.” Yep, it’s bound to happen to everyone once in their life, and this time, it happened to me. It was, thankfully, a really welcome invasion though, and luckily the “Take 5 Monster” is my friend. Can I request a Take 5 flavored ice cream?? I’d be more than happy to take that pint quart off your hands!!! So I reluctantly agreed to a vanilla base (in retrospect it was a great idea!) and started creating the flavor. With a little help from the “Take 5 Monster” we decided that a vanilla base with chocolate covered pretzels and caramel and peanut butter swirls would truly pay homage to the delicious candy bar. And let me tell you, it really did! 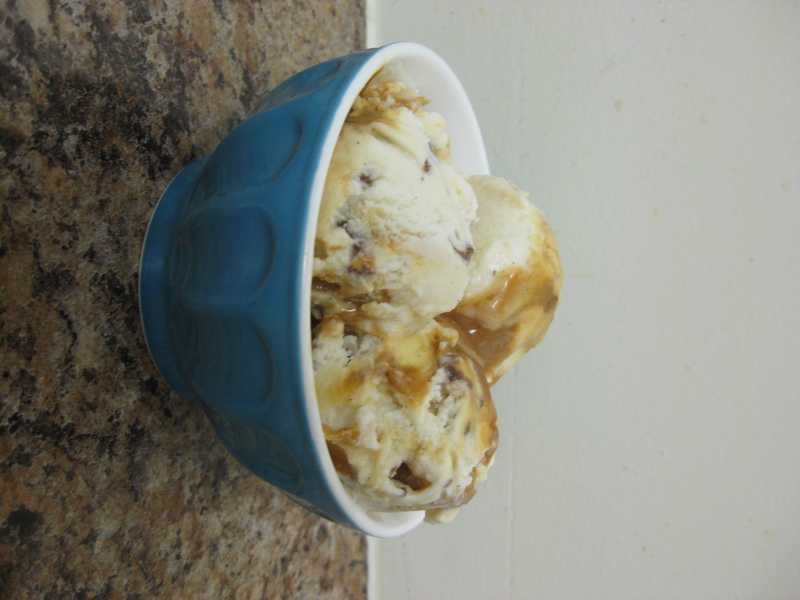 This ice cream has a number of components: peanut butter swirl, caramel sauce, and a vanilla ice cream base. Bear with me on this long list of ingredients and methods. I suggest that you prepare the fillings a day before, so that you’re only assembling the ice cream on the second day. That’s what I did and it worked out beautifully. To make the peanut butter swirl mix the butter, sugar, peanut butter, vanilla extract and salt together in a separate bowl. If you are using natural peanut butter (which I did!) make sure to mix it well first before adding the other ingredients because natural peanut butter separates and you’ll want the oil and peanut butter to be mixed first before adding anything else. 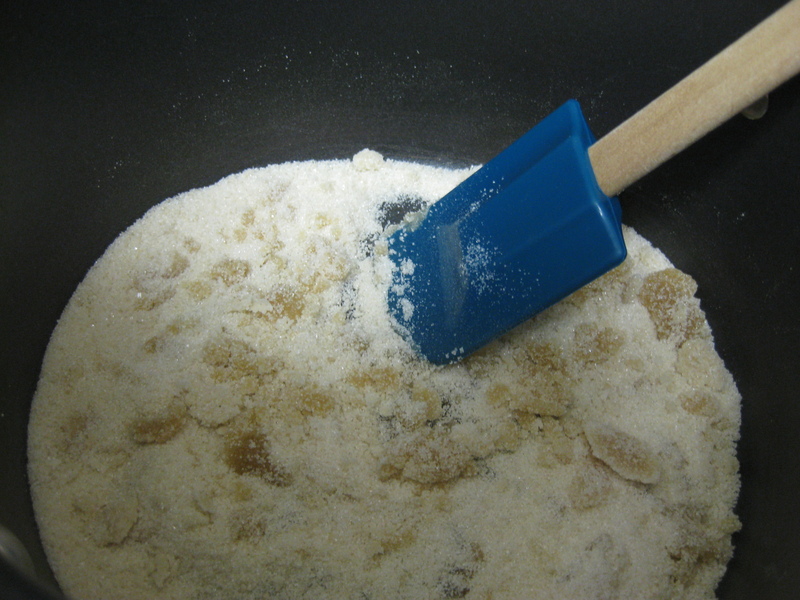 In a large, deep, heavy duty-saucepan, spread the sugar in an even layer. Cook the sugar over low to medium heat, watching it carefully. 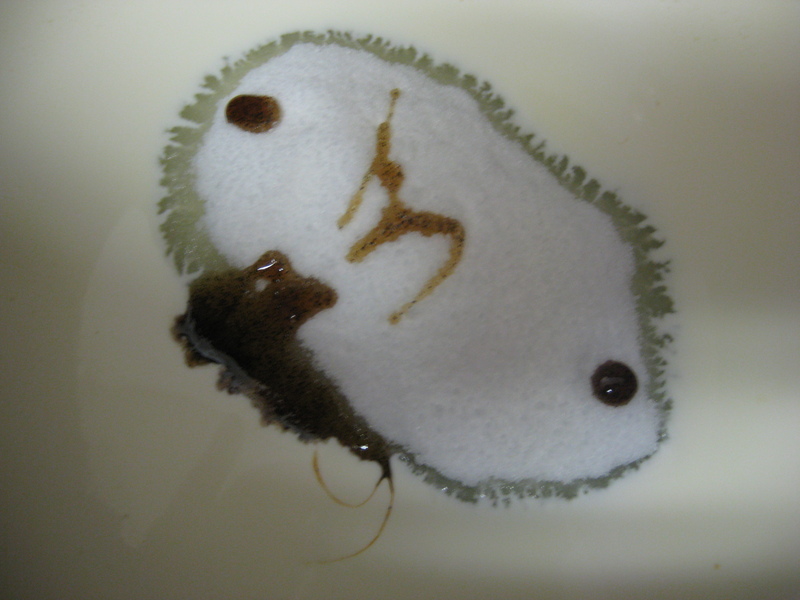 You will notice that small clumps of sugar start to form, then they brown a bit, and then it will begin to liquefy. When it liquefies and darkens at the edges, use a heatproof spatula to very gently stir it to encourage even cooking. 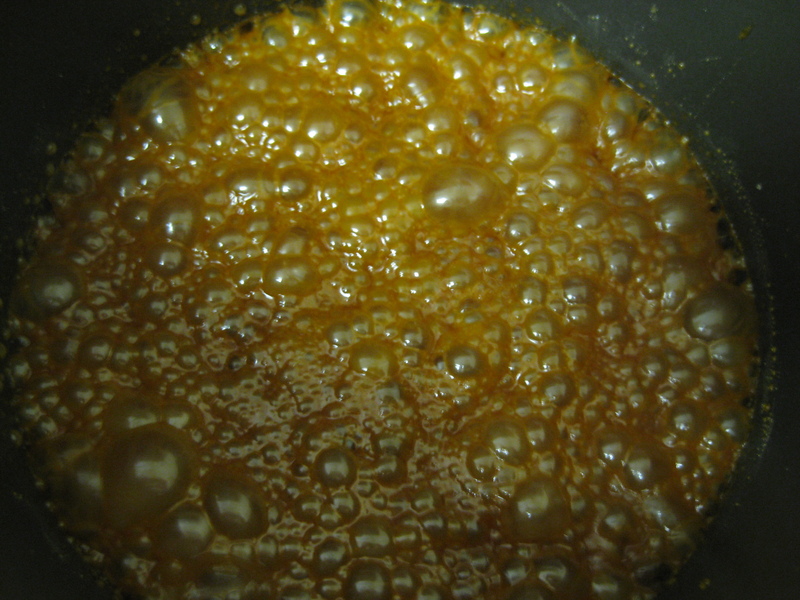 Tilt the pan and stir gently until all of the sugar is melted and the caramel begins to smoke and turns a deep amber color. SPOILER ALERT: this is where I messed up the first time! The entire pan will not smoke (which is what I thought); instead little bits of smoke will rise from the center of the pot and swirl ever so gracefully through the air. Act fast! This is the point of no return, and the very point at which you can royally spoil this caramel! Whisking in the cream. Look at that beautiful color contrast! Immediately remove from the heat and whisk in half of the cream, which will steam and bubble up like crazy! Carefully stir until the sugar is dissolved, then gradually whisk in the remaining cream and the salt and vanilla. 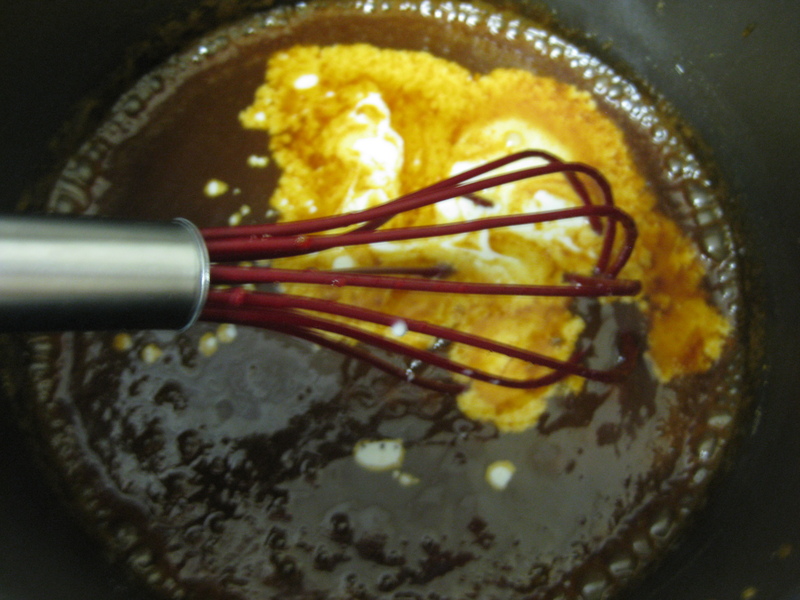 If there are any bits of hardened sugar, whisk the sauce over low heat until smooth. This sauce can be stored in the refrigerator for up to 2 weeks. Rewarm gently in the microwave if you want it as a topping, or chill completely before adding it to this ice cream mixture. On the stove top mix 1 cup of heavy cream with the sugar and vanilla bean paste until the sugar is completely dissolved. Do not boil the cream, just warm enough for the sugar to melt. Remove from the heat and stir in the remaining 1 cup of half-and-half and 1 cup of whole milk. Once stirred add in the vanilla extract. Cool completely in the refrigerator. Freeze the mixture according to the manufacturer’s instructions, which is approximately 20 minutes. 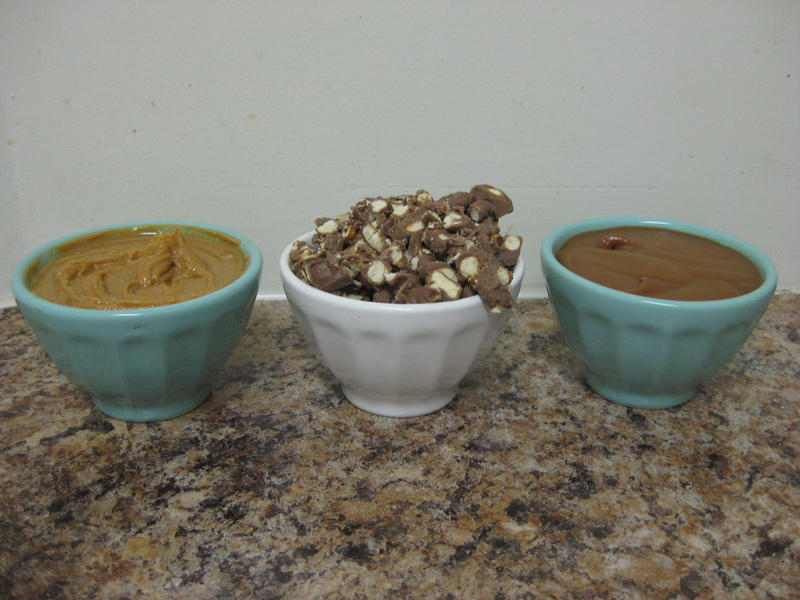 About 3 minutes before the mixture is done pour in the chocolate covered pretzels so they mix into the ice cream. Now begins the fun stuff! 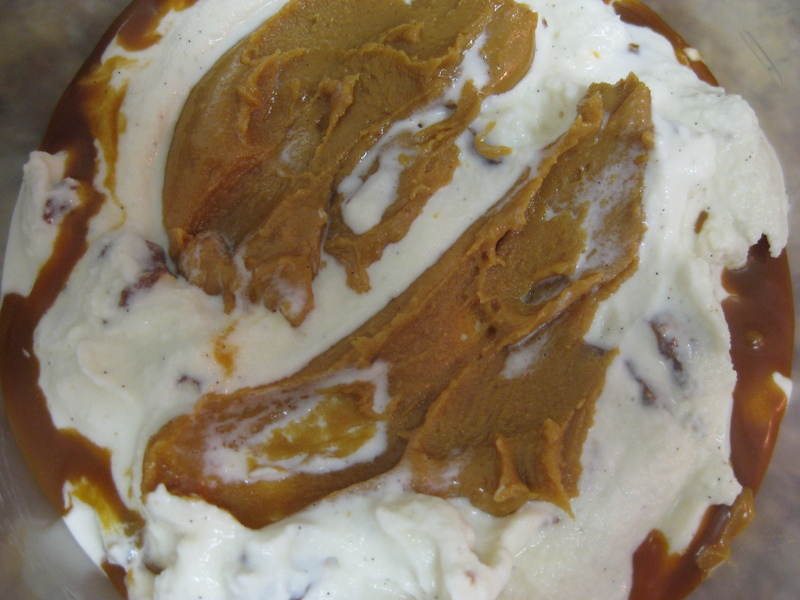 Scoop a layer of ice cream, swirl on some peanut butter, cover again with ice cream, and then smother in caramel sauce (you can never have too much!). Repeat this process until you use up all the ice cream. You will only use approximately 1 cup of peanut butter swirl and 1 cup of caramel when making this concoction. The Verdict: Superb! The “Take 5 Monster” was in heaven, and all our taste-tasters seemed to be pleased as well. This was scrumptious. The combination of flavors was really a “delicious salty sweet snack unlike anything else”. 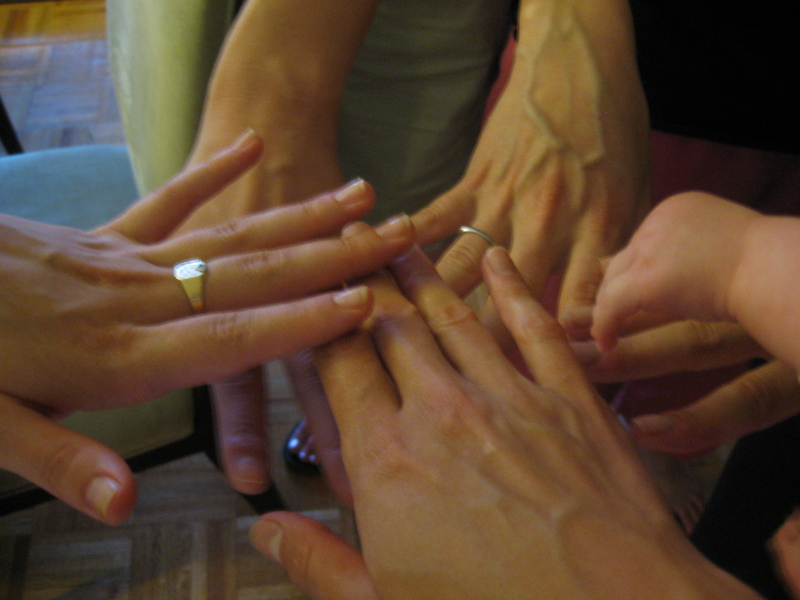 Take 5 – you had it right! Take 5: The final product!